In our previous blog post on Why We Should Adhere to the Waste Framework Directive, I wrote about the initial lab explosion which resulted in significant damage to the lab I was working in. Over the past number of years we’ve read about similar case studies and have visited laboratories where best practices regarding waste disposal were not being adhered to. One such example was an instance where a waste container vented and contents of the containers spilled out all over the fumehood. As the container was vented with a pressure relief valve it meant that it didn’t explode, which needless to say would have been catastrophic. 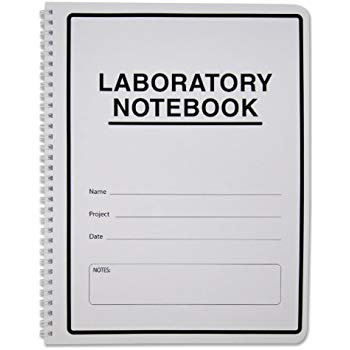 Upon investigating they could not identify what was in the waste container as the container wasn’t labelled and the logbook sparingly used was barely legible as it floated in the fumehood. Upon retrieving the log book we could see that the entries made accounted for 2 liters of waste liquid. However, this was a 10 liter container, so approximately 8 liters of waste was completely unaccounted for. Therefore, the control in place, a logbook (better than nothing), was null and void as people were not using it. Why were people not using it? The responses that came back were ‘well nobody uses it so why should I?’ or ‘I couldn’t find a pen’, or ‘it takes too long to write an entry’. You see until there is an adverse reaction, there tends to be no response to a potentially dangerous situation. The spill took considerable time to clean up where an external contractor was sourced for same, time had to be spent compiling an investigation report, all costing time and money. The big ticket item however was the loss of data for all of the waste disposal for that lab for the entire year. Their permanent record was destroyed. At least now, when using Chemishield, the disposal process takes less than 10 seconds with streamlined authentication, a favourites section for most frequently disposed chemicals, an electronic report of the waste disposal lifecycle showing all ‘cradle to grave’ activity, all whilst ensuring that the users are told what containers to put what waste into – it couldn’t be easier. Check out www.chemishield.com to see more on how Chemishield can help your business.